1. OGAN AYŞE,Fetahovic Meliha,ÇAĞLAYAN PINAR,BİRBİR MERAL,ÇALLI BARIŞ,Bayrakdar Alper,DANIŞ ÖZKAN. Polyhydroxyalkanoate production from moderately halophilic Bacillus strains. FEBS JOURNAL. Cilt 284. sf 106-106, 2017. 16. DANIŞ ÖZKAN,YÜCE DURSUN BAŞAK,GÜNDÜZ CİHAN,OGAN AYŞE,ŞENER GÖKSEL,BULUT MUSTAFA,YARAT AYŞEN. Synthesis of 3 amino 4 hydroxy coumarin and dihydroxy phenyl coumarins as novel anticoagulants. Arzneimittel Forschung Drug Research. Cilt 60. sf 617-620, 2010. 17. YÜCE DURSUN BAŞAK,DANIŞ ÖZKAN,OGAN AYŞE,ŞENER GÖKSEL,BULUT MUSTAFA,YARAT AYŞEN. Antioxidative and Lipid Lowering Effects of 7 8 Dihydroxy 3 4 methylphenyl Coumarin in Hyperlipidemic Rats. Arzneimittel Forschung Drug Research. sf 129-134, 2009. 1. DANIŞ ÖZKAN,OGAN AYŞE,ANBAR DAMLA,YÜCE DURSUN BAŞAK,DEMİR SERAP,SALAN ÜMİT. Inhibition of Pancreatic Lipase by Culinary Plant Extracts. International Journal of Plant Biology & Research. Cilt 3. sf 1038-, 2015. 1. 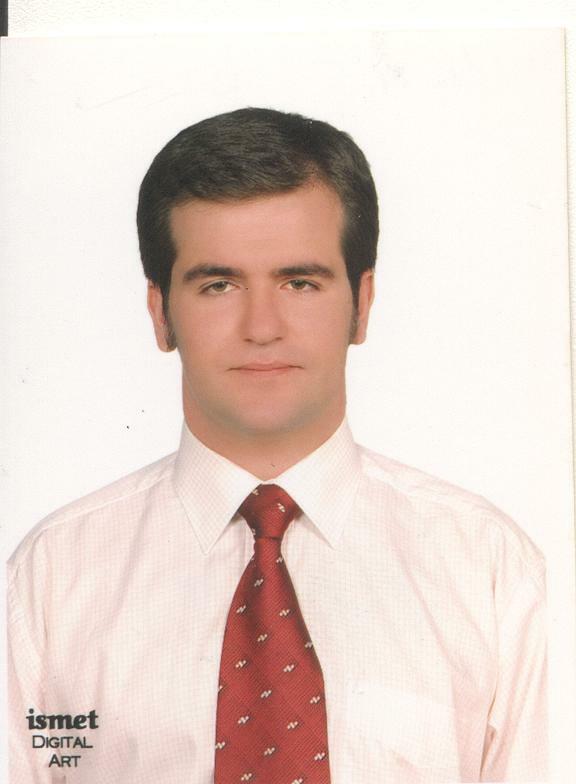 ALPARSLAN MUSTAFA MUHLİS,DANIŞ ÖZKAN,OGAN AYŞE,TULİ ABDULLAH, "The Evaluation of Inhibitory Effects of Various 3 arylcoumarin Derivatives on Human Glutathione S transferase", International symposium on predictive and personalized medicine, 2015. 2. ERZİNCAN PINAR,SAÇAN MELEK,YÜCE DURSUN BAŞAK,DANIŞ ÖZKAN,DEMİR SERAP,ERDEM SAFİYE,OGAN AYŞE, "QSAR models for antioxidant activity of new coumarin derivatives", 8th International Symposium on Computational Methods in Toxicology and Pharmacology Integrating Internet Resources (CMTPI-2015), SAR AND QSAR IN ENVIRONMENTAL RESEARCH, 2015. 3. BEYLER ÇİĞİL ASLI,ÇAKMAKÇI EMRAH,DANIŞ ÖZKAN,DEMİR SERAP,KAHRAMAN MEMET VEZİR, "Alpha Amylase Immobilization On Modified Polyimide Material", 11st International Conference on Chemical & Process Engineering, Chemical Engineering Transactions, 2013. 4. YÜCE DURSUN BAŞAK,DANIŞ ÖZKAN,DEMİR SERAP,OGAN AYŞE, "In vitro Investigation of HMG CoA Reductase Inhibitory Effects of Various Coumarin Derivatives", 38th FEBS Congress, Mechanisms in Biology, FEBS Journal, 2013. 5. DANIŞ ÖZKAN,DEMİR SERAP,ATTAR AZADE,YÜCE DURSUN BAŞAK, "The Investigation of Antibacterial Effects of Various 4 Aryl Substituted Coumarin Derivatives", 38th FEBS Congress, Mechanisms in Biology,FEBS Journal, 2013. 6. YÜCE DURSUN BAŞAK,DANIŞ ÖZKAN,DEMİR SERAP,ONAT FİLİZ,OGAN AYŞE, "Profiling of cortex membrane proteomes in genetic absence epilepsy GAERS experimental rat model", 36th FEBS Congress, FEBS JOURNAL, 2011. 7. DANIŞ ÖZKAN,DEMİR SERAP,YÜCE DURSUN BAŞAK,Gündüz CİHAN, "Assessment of antioxidant capacity and radical scavenging activity of various hydroxycoumarin derivatives", 36th FEBS Congress, FEBS Journal, 2011. 8. GÜNEL ASLIHAN,DANIŞ ÖZKAN,DEMİR SERAP,OGAN AYŞE,GÜLHAN REZZAN,ONAT FİLİZ,GÜLÇEBİ İDRİZ OĞLU MEDİNE, "IDENTIFICATION OF DIFFERENTIATED PROTEINS IN GAERS BY PROTEOMICSAPPROACH", EPILEPSIA, 2009. 9. Ö. Danış, S. Demir, A. Ogan, R. Aker, F. Onat, M. Gülçebi, "Determination and Identification of Epilepsy Related Proteins in GAERS Epilepsy Model by Proteome Analysis", HUPO 6th Annual World Congress, Molecular & Cellular Proteomics, 2007. 10. YÜCE DURSUN BAŞAK,ŞENER GÖKSEL,OGAN AYŞE,DANIŞ ÖZKAN,BULUT MUSTAFA, "Hesperidin rutin and 7 8 dihydroxycoumarin on antioxidant and lipid status of hyperlipidemic rats", FEBS JOURNAL, 2006. 11. DANIŞ ÖZKAN,DEMİR SERAP,GÜLHAN REZZAN,GÜNEL ASLIHAN,ONAT FİLİZ,OGAN AYŞE, "Determination of alterations in protein profiles of brain tissues ofexperimental epilepsy models by proteome analysis", FEBS JOURNAL, 2005. 12. SARIYER EMRAH,DANIŞ ÖZKAN,BALIK DİLEK, "Bos taurus Kas Enolazını Kodlayan Genin Klonlanması, Ekspresyonu ve Karakterizasyonu", 19. Uluslararası Katılımlı Ulusal Biyoteknoloji Kongresi, 2017. 13. OGAN AYŞE,Fetahovic Meliha,ÇAĞLAYAN PINAR,BİRBİR MERAL,ÇALLI BARIŞ,Bayrakdar Alper,DANIŞ ÖZKAN, "Polyhydroxyalkanoate production from moderately halophilic Bacillus strains", 42nd Febs Congress, 2017. 14. ERDEM SAFİYE,HAMUR BEYZA,DANIŞ ÖZKAN, "Molecular docking of arylcoumarins to carbapenemaseenzyme", International Symposium on Chemistry Via Computation Applications on Molecular Nanoscience, 2017. 15. MUHSİR MAKBULE PELİN,YÜCE DURSUN BAŞAK,DANIŞ ÖZKAN,DEMİR SERAP,ÇAKMAKÇI EMRAH, "Antibody Immobilization On To Amine Functional Magnetic Nanoparticles", 3rd International Conference on New Trends in Chemistry, Helsinki, 2017. 16. DANIŞ ÖZKAN,WAFULA MATHIAS WESAMBA,YÜCE DURSUN BAŞAK,DEMİR SERAP,ÇAKMAKÇI EMRAH, "Extraction Of Collagen From Food Waste And The Preparation Of Polyhydroxyalkanoate Composites", 3rd International Conference on New Trends in Chemistry, Helsinki, 2017. 17. ÇAKMAKÇI EMRAH,DANIŞ ÖZKAN,HOCAOĞLU DİNÇER,YÜCE DURSUN BAŞAK,DEMİR SERAP, "Immobilization of pectinase via click reaction on amberlite XAD-4 resins", 3rd International Conference on New Trends in Chemistry, 2017. 18. YÜCE DURSUN BAŞAK,BEYLER ÇİĞİL ASLI,DANIŞ ÖZKAN,DEMİR SERAP,KAHRAMAN MEMET VEZİR, "Immobilization of Lipase onto photocrosslinked interpenetrating polymer network", 3rd International Conference on New Trends in Chemistry, 2017. 19. Yakarsönmez Sinem,MUTLU ÖZAL,DANIŞ ÖZKAN,BALIK DİLEK, "Molecular docking analyses of coumarin derivatives as Theileria annulata enolase inhibitors", 5. International BAU Drug Design Congress, 2017. 20. AYGÜN CAN,MUTLU ÖZAL,DANIŞ ÖZKAN, "Molecular modelling and docking studies on 3-oxoacyl-[acyl-carrier-protein] reductase enzyme (FabG) of Toxoplasma gondii", The International Symposium on Chemistry via Computation, Applications on Molecular Motors, 2017. 21. KARALI MERT,DANIŞ ÖZKAN,ALPARSLAN MUSTAFA MUHLİS,GÜNDÜZ CİHAN,OGAN AYŞE, "Investigation of inhibitory effects of 3and 4 aryl coumarin derivatives on acetylcholinesrerase activity", Fourth International Meeting on Pharmacy and Pharmaceutical Sciences (IMPPS-4)., 2014. 22. YÜCE DURSUN BAŞAK,BAŞAK ALİ SADİ,DANIŞ ÖZKAN,ÇAKIRCA GAMZE,DEMİR SERAP, "Synthesis characterization and investigation of their DNA binding properties of novel phthalocyanines", International Congress on Chemical, Biological and Environmental Sciences (ICCBES2015),, 2015. 23. DANIŞ ÖZKAN,YÜCE DURSUN BAŞAK,DEMİR SERAP,ALPARSLAN MUSTAFA MUHLİS,OGAN AYŞE,ERDEM SAFİYE, "Synthesis and biological evaluation of benzocoumarin derivatives as human monoamine oxidase A and B inhibitors", International Congress on Chemical, Biological and Environmental Sciences (ICCBES2015),, 2015. 24. KULABAŞ NECLA,ERZİNCAN PINAR,DANIŞ ÖZKAN,ERDEM SAFİYE,OGAN AYŞE, "Molecular Modeling Studies on COX 1 and COX 2 Inhibition of Novel Amide Conjugates of Some NSAIDs with Anti inflammatory Activity", International Symposium on Drug Research & Development, Faculty of Pharmacy, Anadolu University & Society of Researches in Pharmacy and Medicine, 2015. 25. ERZİNCAN PINAR,YÜCE DURSUN BAŞAK,DANIŞ ÖZKAN,DEMİR SERAP,ERDEM SAFİYE,OGAN AYŞE, "Monoamin Oksidaz A ve B inhibitörü olarak tasarlanan yeni kumarin türevleri ile moleküler doking", 3. İlaç Kimyası: İlaç Etken Maddesi Tasarımı Sentezi, Üretimi ve Standardizasyonu Kongresi, 2015. 26. YÜCE DURSUN BAŞAK,ŞAHİN ELİF,DANIŞ ÖZKAN,DEMİR SERAP,OGAN AYŞE,ERDEM SAFİYE, "3 Aril Kumarin Türevlerinin Sentezi ve İnsan Monoamin Oksidaz A ve B İnhibitörleri Olarak Etkilerinin İncelenmesi", 27.Ulusal Kimya Kongresi, 2015. 27. DANIŞ ÖZKAN,DEMİR SERAP,YÜCE DURSUN BAŞAK,ONAT FİLİZ,OGAN AYŞE, "WAG Rij Wıstar Albino Glaxo Rijswijk Deneysel Sıçan Modelinde Korteks Proteomlarının Profillendirilmesi", 27.Ulusal Kimya Kongresi, 2015. 28. DANIŞ ÖZKAN,SARSAR ONUR,BEYLER ÇİĞİL ASLI,DEMİR SERAP,KAHRAMAN MEMET VEZİR,OGAN AYŞE, "Galaktosidaz Enziminin UV Işınlarıyla Sertleşen Polimerık Matriks Üzerine Yanıt Yüzey Metodu RSM İle Optimal İmmobilizasyonu", 27. Ulusal Kimya Kongresi, 2015. 29. YAKARSÖNMEZ SİNEM,DANIŞ ÖZKAN,MUTLU ÖZAL,YÜCE DURSUN BAŞAK,AKBULUT EKREM,BALIK DİLEK, "Theileria annulata Enolaz Enziminin Uygun Stabilizatörler Kullanılarak Depolama Koşullarının Belirlenmesi", Ulusal Moleküler Biyoloji ve Biyoteknoloji Kongresi, 2015. 30. UĞUREL ERENNUR,DANIŞ ÖZKAN,MUTLU ÖZAL,YÜCE DURSUN BAŞAK,GÜNDÜZ CİHAN,BALIK DİLEK, "K7 ve K15 Kumarin Türevlerinin Bacteroides fragilis in D Laktat Dehidrogenazı Üzerine Olan Etkilerinin In silico ve Spektral Analizi", Ulusal Moleküler Biyoloji ve Biyoteknoloji Kongresi, 2015. 1. DÖNGEZ DİLEK,BEYLER ÇİĞİL ASLI,DEMİR SERAP,DANIŞ ÖZKAN,OGAN AYŞE,KAHRAMAN MEMET VEZİR, "Covalent immobilization of Lipase ontosol gel hybrid coating films", Congress of Chemists and Chemical Engineers of Bosnia and Herzegovina with Internatinal Participation. 2. SARSAR ONUR,BEYLER ÇİĞİL ASLI,DEMİR SERAP,DANIŞ ÖZKAN,OGAN AYŞE,KAHRAMAN MEMET VEZİR, "Covalent immobilization of lactase onto UV curable polymeric matrix", Bulletin of chemists and Technogists of Bosnia and Hersegovina. Congress of Chemists and Chemical Engineers of Bosnia and Herzegovina with Internatinal Participation.